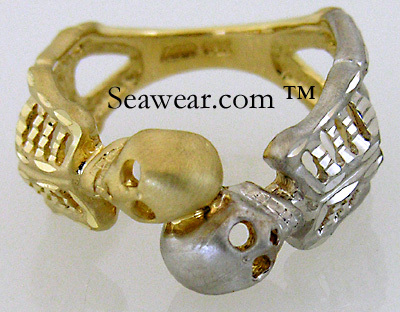 Dead men tell no lies pirate ring. 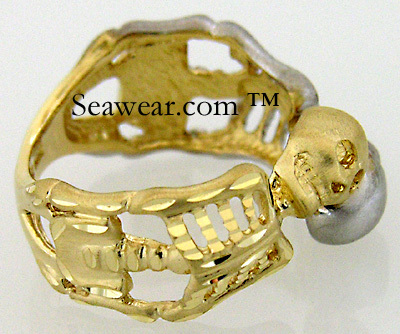 14kt gold with rhodium plating on one skeleton for a two tone affect. 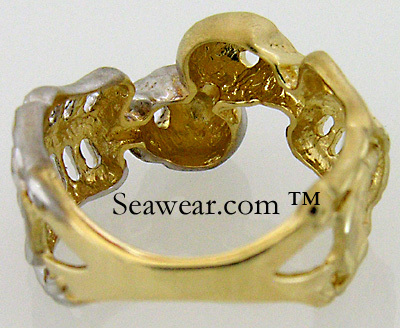 Comes in US size 6.5 and easily sized by your jeweler. App weight is 5.6gms. Widest point is the rib cage at 3/8" or 9mm. 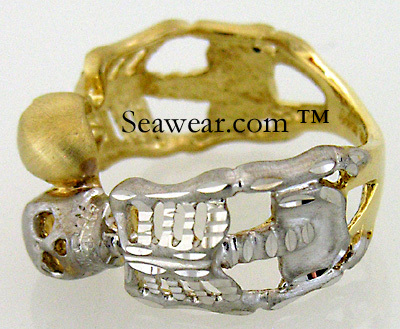 Put them on hoops or your shackles for earrings or belly rings. Polished, satin brushed and diamond cut.